In the '90s, the tube television would suddenly light up in the colors of the rainbow. Today, everyone's handheld phones buzz with the same notification. It's an emergency alert test. A nationwide test of the Wireless Emergency Alerts and Emergency Alert System is happening on Wednesday, Oct. 3 at approximately 11:18 a.m. and 11:20 a.m. respectively, according to a press release from the Oregon Office of Emergency Management. The test will be conducted by the Federal Emergency Management Agency, in coordination with the Federal Communications Commission. It will assess the operational readiness of the infrastructure for distribution of a national message, the release says, and determine whether improvements are needed. 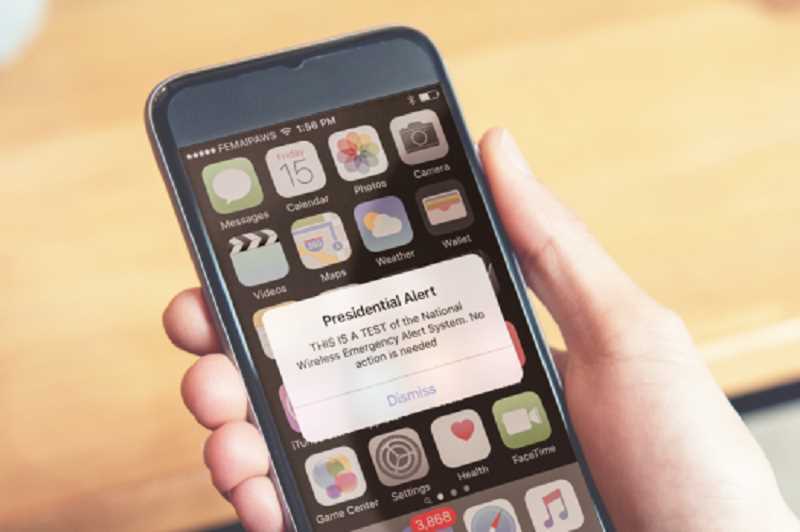 The test allows the president to communicate with the public in the event of a national emergency, and the WEA test message will have a header that reads "Presidential Alert." It was originally scheduled for Thursday, Sept. 20, but was rescheduled for the backup date due to ongoing response efforts to Hurricane Florence. In response to FEMA's tweet regarding the postponement, many Twitter users expressed discontent about the opportunity for the president to communicate directly to their phones, even in an emergency, NBC News reported on Sept. 17. According to that report, one security researcher, Stephen Cobb, tweeted: "This POTUS is so bad that folks are prepared to forgo the potential benefits of a national alert system—which already exists on radio and TV—because it is hard to believe Trump will not abuse it." This will be the first national WEA test and the fourth EAS nationwide test. Previous EAS tests took place in November 2011, September 2016 and September 2017. People will receive the cell phone alert if they have WEA compatible cell phones that are on, are within range of a cell tower and their wireless provider participates in WEA.